Los juegos publicados directamente por la compañía nipona usualmente mantienen su precio a lo largo del tiempo, hasta que deciden hacerlos parte de la línea de “grandes éxitos”, pero parece que Nintendo ha recapacitado y en esta oportunidad ofrece una rebaja de 10 dólares en 5 de sus juegos más populares de 3DS. A partir de la fecha se conseguirán tanto de manera digital como en tiendas seleccionadas Super Mario 3D Land, Animal Crossing: New Leaf, New Super Mario Bros 2, Donkey Kong Country Returns 3D y Mario Kart 7 por 30 dólares. Esperamos que otros títulos se unan a la lista en un futuro no muy lejano, al menos hasta que se haga el lanzamiento oficial de los “grandes éxitos”, este es el comunicado de prensa. REDMOND, Wash.--(BUSINESS WIRE)-- Five great Nintendo 3DS games, including the top three best-selling Nintendo 3DS games of all time, are getting a new lower price. Together these five games have sold more than 9 million combined physical and digital units in the United States alone, and represent some of the most fun game experiences available today. The five games are must-haves for anyone who owns a Nintendo 3DS or Nintendo 2DS system, and their new price represents an even better value for consumers. In order, Mario Kart 7, Super Mario 3D Land and New Super Mario Bros. 2 represent the top three best-selling Nintendo 3DS games of all time in the United States - each one has sold more than 2.15 million physical and digital units in the U.S. alone. 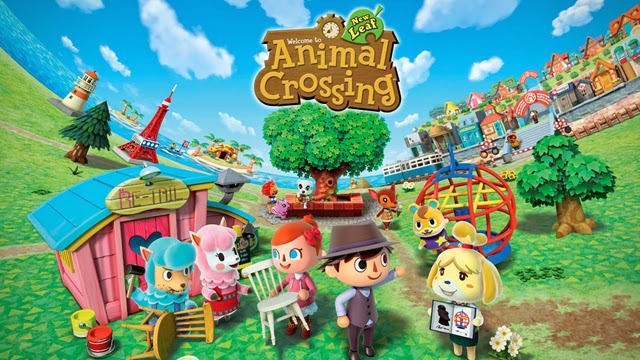 All five of the newly discounted games star classic Nintendo characters and franchises, and their strong sales over time demonstrate the longevity of Nintendo's games. The games make great gifts, engaging entertainment for families and other spring break travelers, or just a way to introduce kids to the fun of video games. For more information about these products, visit http://www.nintendo.com. *Data regarding physical sales of games are from the NPD Group. Data regarding digital downloads of games and combined physical/digital life-to-date numbers are from Nintendo's internal sales figures. All numbers, unless otherwise stated, are specific to the United States only.